Tonight after a fantastic season it is the season 28 finale of SURVIVOR and we will finally find out who will win this season of Survivor. Woo, Spencer, Tony and Kass are still in the competition, but who will be the last standing? This season has been a very compelling season. The players have gotten smarter, they’ve been strategizing all game to get to the finale and now it all comes down to who will be known as the last one standing; the survivor. On last week’s episode castaways scaled new heights as they battled for a guaranteed spot in the final four. Tony thought he was in control but with just two episodes to go he has lost control when something he told Kassandra in secrecy got blown out of the water. Old allies were now enemies and new alliances were formed while Kass had a renewed confidence in the game. Meanwhile, Woo had a lot of power being the swing vote this week. If you didn’t see last night’s episode don’t worry, we recapped it all for you here. On tonight’s finale episode, the final four contestants faced some of their final challenges when they were perched atop a telephone poll with a small stand at the top; players rapidly pulled up a rope with a bucket of water attached. Tony was the first to fall, then Spencer was second; if they couldn’t climb back up, that left Woo and Kass to compete. Tonight’s Survivor Season 28 finale is going to be an exciting one, which you won’t want to miss. 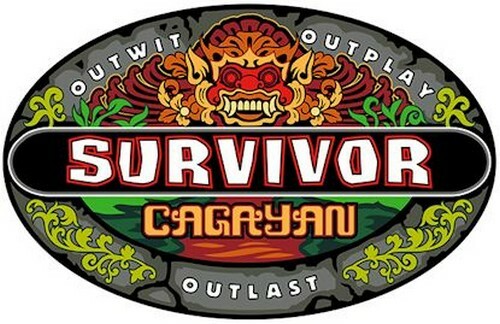 Not only is the winner finally revealed, but the castaways reunite to discuss the season. So be sure to tune in for our live coverage of CBS’s Survivor – tonight at 9PM EST and find out who is crowned the winner! While you wait for our recap, hit the comments and let us know who you are rooting for? If you want a full and detailed recap of everything that went down on the finale tonight, check out our complete recap here. We are down to the final 3: Woo, Tony and Kass – Spencer was eliminated at Tribal Council. At Tribal council he decided to vote Kass off and take Tony to with him to the end. Tony and Woo have to pitch to the jury why they should win Survivor.